Naturally-derived beauty products—no filler, no synthetics. Young Living’s Savvy Minerals will have you looking amazing and feeling really good about it! 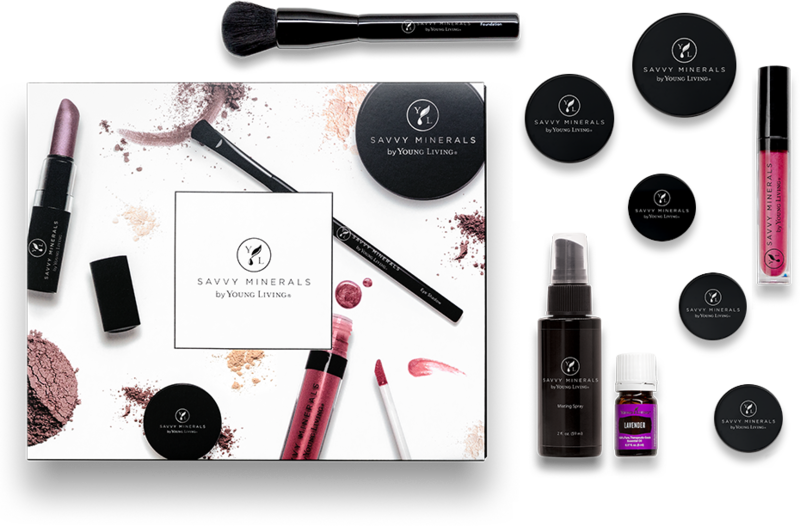 Savvy Minerals is developed with an unwavering standard of purity and quality. Wherever life takes you, Savvy Minerals is here to empower you to be the woman you want to be. Made with the naturally-occuring mineral dust known as Mica, Savvy Minerals doesn’t have synthetic colorants or fillers. Savvy Minerals is all-natural and specially-crafted without fillers, synthetics, or parabens, making it great for all skin types—even sensitive skin. All Savvy Mineral products are cruelty free and have never been tested on animals, so you can feel good about what you’re putting on your face. Whether you use it as the base of an elaborate look or on its own for a more natural approach, our all-day mineral foundation has you covered. Its buildable formula can be used for sheer to full coverage and blends flawlessly for a natural-looking foundation that still diminishes the appearance of imperfections and blemishes. With its long-lasting formula, gentle ingredients, and gorgeous finish, Savvy Minerals Foundation is the only coverage you need stashed in your makeup bag. The mineral-based ingredients in Savvy Minerals by Young Living Blush are finely ground to provide a smooth, luxurious application. This also helps the product go on flawlessly, creating buildable color in a long-lasting blush that blends well for all-day wear. 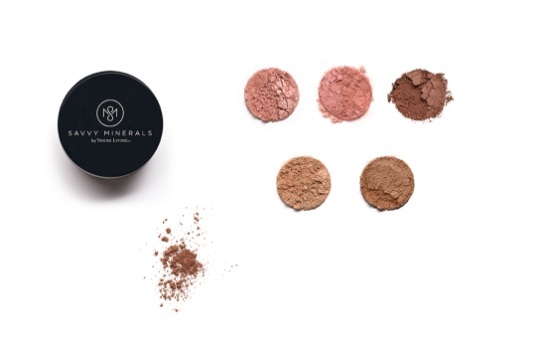 Savvy Minerals Blush comes in a range of colors to complement different skin tones, and the natural-looking shades give cheeks a perfect flush. Like all Savvy Minerals by Young Living products, our blush is gentle, making it ideal for sensitive skin. With a variety of shades, Savvy Minerals Eyeshadow makes it easy to create natural and dramatic looks that complement every skin tone. It glides on smoothly for easy application, and each shade has high color payoff that easily blends and builds into your desired look. Plus, its long-lasting formula wears all day, so you have one less thing to worry about during your busy schedule. 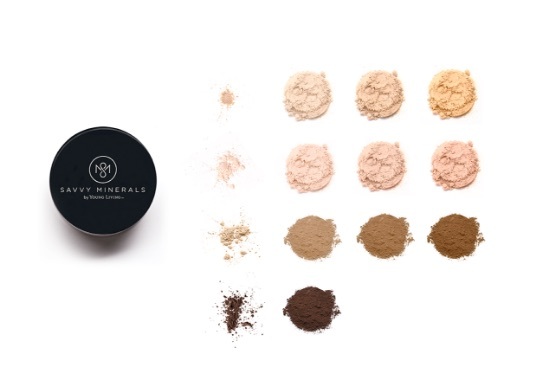 Made from a finely ground mineral base for a long-lasting eyeshadow with a smooth, luxurious application, Savvy Minerals Eyeshadow is gentle enough even for sensitive skin. Get natural-looking sheer to medium color coverage while adding shine. It applies flawlessly without the sticky feeling of many lip glosses. This lip gloss moisturizes and softens lips, while making them look fuller for a high-shine pout that completes your look. 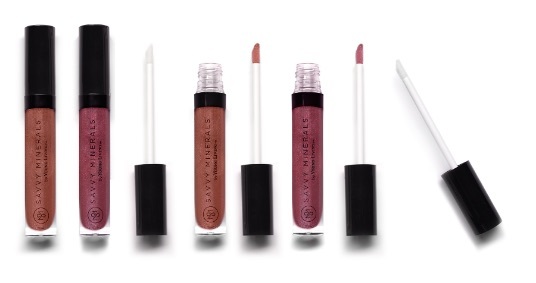 This lip gloss can also be worn over Savvy Minerals by Young Living Lipstick to go from a fresh, natural day look to an evening look with a bolder color impact! Cruelty-free and all natural—feel good about it! The Savvy Minerals Foundation Brush is a perfect companion to the Savvy Minerals by Young living line. Each soft makeup application brush is made from high-quality synthetic fibers that are designed to hold the optimal amount of product and provide easy makeup application and a luxurious feel. Each brush is designed to work well with the texture of Savvy Minerals by Young Living powders. Lavender has a scent that’s a wonderful blend of fresh, floral, clean, and calm. It’s this dynamic aroma that has made the flower a classic for perfumes, soaps, fresheners, and beauty products. It’s a great beginner oil and a must for every home. Lavender essential oil isn’t just a favorite because of its classic scent—it’s also highly versatile. From skin care products to relaxing routines, this oil can infuse many areas of your life. We would love to tell you more about Savvy, how it can help you and your family, and ways to make it even tastier.